The consumer market today is flooded with many devices like smartphones and tablets that provide means to access information through various apps. 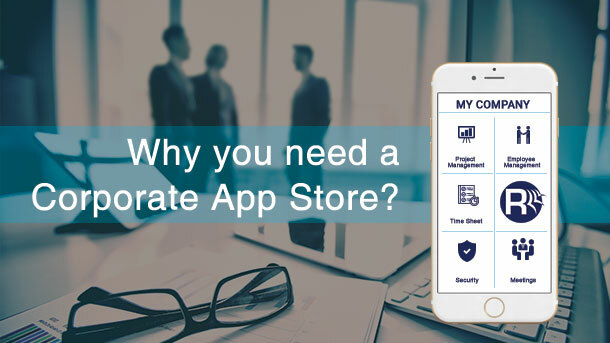 To leverage the high usage of mobile applications, decision makers today are forming strategies to create private or enterprise app stores where their employees can download these apps. These apps improve employee efficiency at work and help deliver success to the organization. 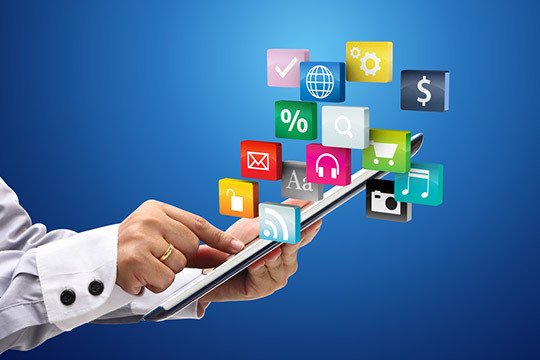 Read more to know about the benefits offered by enterprise mobile app store. Mobile apps for enterprises are a great productivity booster, but to implement and deliver them is altogether a different story. With the introduction of smartphones and tablets, mobile computing has changed how we work today. Organizations are shifting their focus from traditional web technologies to mobile technologies. With a large customer base accessing products and services through their smartphones, business owners are creating new business models on various mobile platforms. Appcelerator – a mobile technology company recently conducted an enterprise survey on mobile apps among 800+ companies ranging from small single business owner to large organizations having 10,000+ employees. As per the survey, enterprise environment, consumer and business are uniformly strong for the mobile application development. In total, 46% of organizations are in plans to build B2E (business-to-enterprise) applications in the next six months, and 52% plan to build B2B (business-to-business) applications. At the same time 10% of companies said they had an enterprise mobile leader, and 85% said they had no plans to employ one ITBusinessEdge’s Carl Weinschenk noted. With the popularity of iOS, Android, HTML5, Blackberry & Windows mobile OS, smartphone app development company are focusing on creating mobile apps supporting multiple devices and platforms. The question for business owners was to launch the developed enterprise apps on private app stores. To maintain compliance and adhere to various organization policies, Google & Apple offers private store option to mobile apps for enterprises. Better Control: With an increase in the number of downloads, it is very important for enterprises to control the frequency of downloads from various public app stores. With an enterprise app store, organizations can easily gain control over the number of downloads and restrict users from downloading enterprise apps. Easy Access: Enterprises can implement user and group-based access control at various organization level allowing users to easily access enterprise data as per their security rights. With an enterprise app store, you have the authority to control the level of access in apps, thus keeping sensitive information locked and secure. Effective Versioning: With various fixes and updates, it becomes difficult for organizations to manage various versions of the enterprise app positioned in various app stores. By implementing an enterprise mobile app store, you can implement better version control for your enterprise apps and maintain effective control over your apps. Versioning also offers security against the use of old version. Secure Environment: Hacking and phishing are one of the major disadvantages of placing your enterprise app on the publicly available app stores. With an enterprise app store, you can improve security by providing single sign-on, secure app downloads, regular monitoring of downloads, system-level rights as per the organization processes, and many more safety features crucial for the enterprise app. Rishabh Software provides tailor-made mobile solutions for businesses that help you cross the technical barriers to building your mobile app. 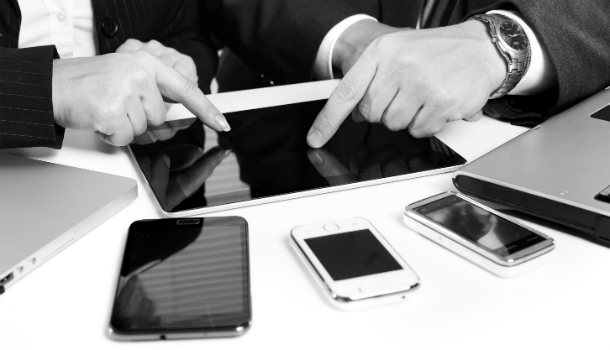 Our team of experts and designers implement the best practices for mobile development. Call 1-877-RISHABH (1-877-747-4224) or fill in the contact form to get a quote on mobile app for your enterprise.